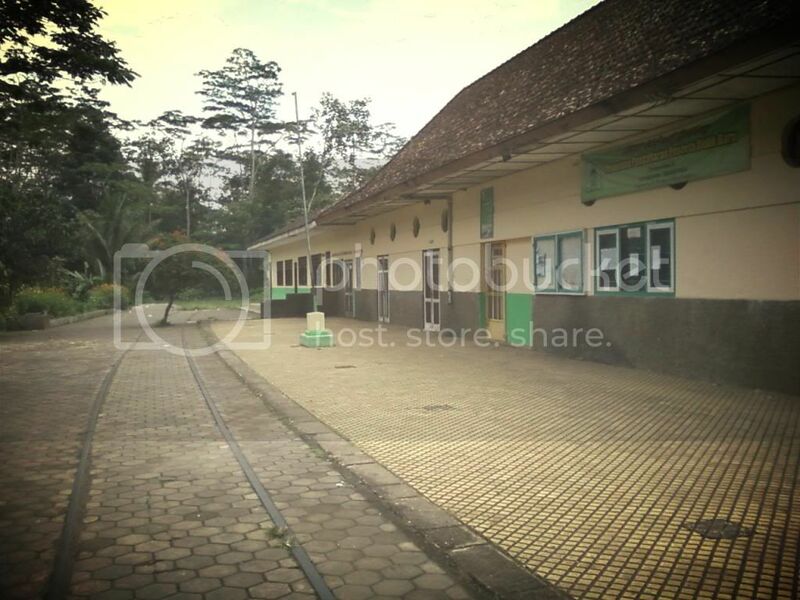 The Grabag Station building and its railway yard, currently isnt functioned anymore after the Semarang-Jogjakarta track was officially closed on 1984. Currently the building used as Junior High School building. Its visible that the pillars as the parts of shelters on the platforms had been demoslished. On June, 7th 1864 is becoming the most importante date for the developments of railways in Indonesia. L.A.J.W Baron Sloet van den Beele, the Gouverneur General on that time, officially break ground in Kemijen, Semarang, marked beginning of the development of railroad network in Java Island specifically, and in East Indie generally. Thus, its begin the era of railways as the mass transportation for the people in East Indies. After the track between Semarang and Tanggoeng is finished and its officially opened on August 10th 1867, there’s several line built to expand the railroad networks. The track itself expanded to Solo and finished on 1870 then to Jogjakarta two years later. Then for the efficiency, because its considered turning too far, its built the track to Jogjakarta from Semarang through the mountainous area in the central Java area, through Kedung Jati-Ambarawa-Magelang-Jogjakarta. Its really-really challenging every engineer on that time, because its really impossible to realize it. Anyway, they make it, and its used the special mountainous track, similar with those in West Sumatera or in Switzerland. This track itself were officially closed by the government of Indonesia on 1984, due to its already inefficient, the people refers to bus transportation lately. 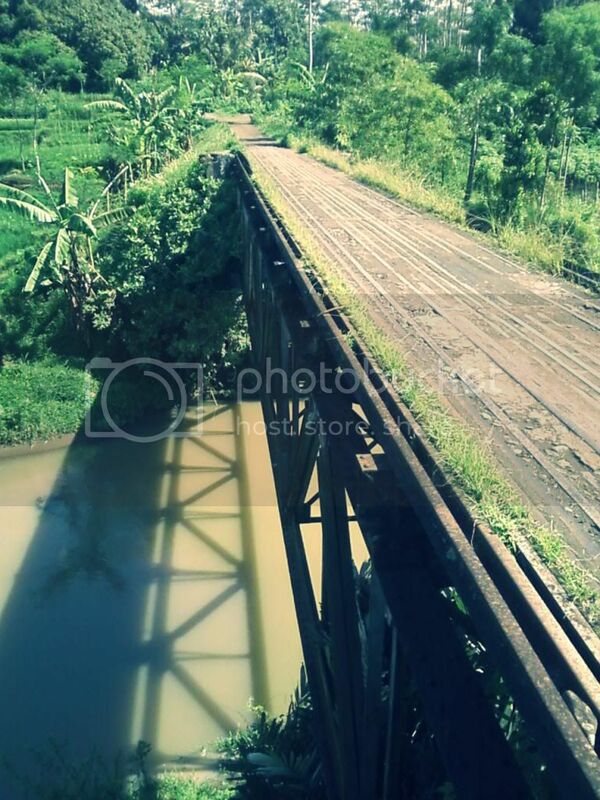 Then the track is abandoned, only track from Tuntang -Ambarawa-Bedono were preserved, for the tourist attraction. The rest of the track? Most of them are stolen, settled or simply demolished. During my KKN programme, I’ve found the remains of the Semarang-Jogjakarta railways track, there’s Grabag Station. The condition were almost well preserved because now its used by the local government as a Junior High School building. The station designed are easily recognized, there’s not so much additional on the building structure. Here, I felt the power of interactions on that time between the people in countryside with those on the city. On the colonial period, the development of railroad network have its purpose to fulfilling the needs of the people about transportation, also as an efforts to the better economic growth. Along the area which passed by railroad network, the people used this “metal horses” as their daily transport. Furthermore, in many small station or halte located, the people from the countryside often exploit it as their means to sold their product, the traders came from the countryside offering their product, dominated by agricultural products, and those from the city are also came with their product, dominated by factory product like clothes, shoes, and so on. The station once become the important place for the rural and urban people to interact. Coming into a place like this, sometimes made my mind imagining what happend on that time. 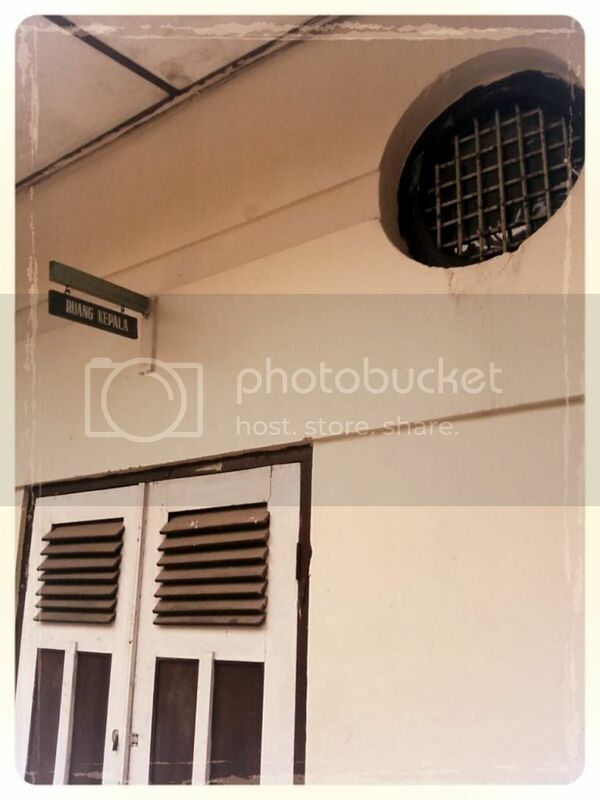 Once I closed my eyes and tried to romanticize, the people interaction here, the whistle blowed by the station administrateur , the passenger who waiting for the train for the Semarang or Jogjakarta direction, a rendezvous or a farewell. Several Sado, waiting in the yard of the station, waiting for the passenger to used their service to go home or to the others destionation. Then I opened my eyes, only a gentle evening breeze passed surround. Alone, quiet and only a sounds from sparrow faintly audible. Ah, if only this building could speak. . .